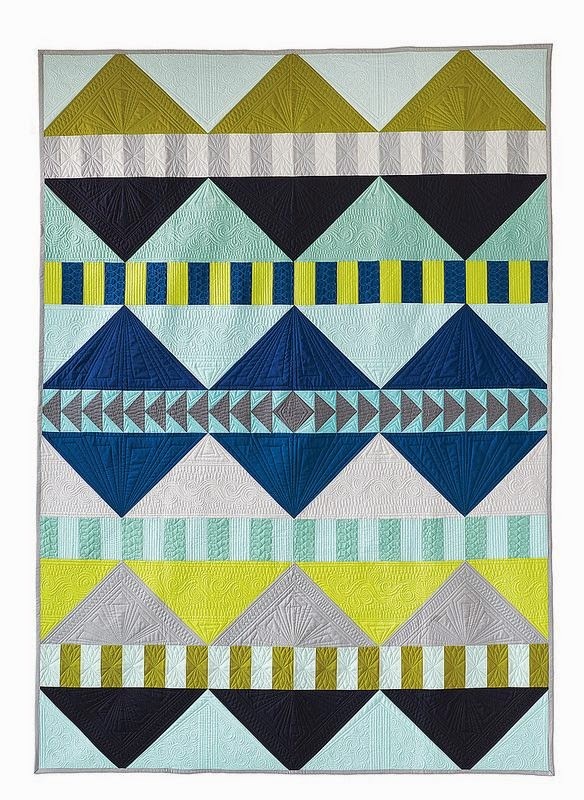 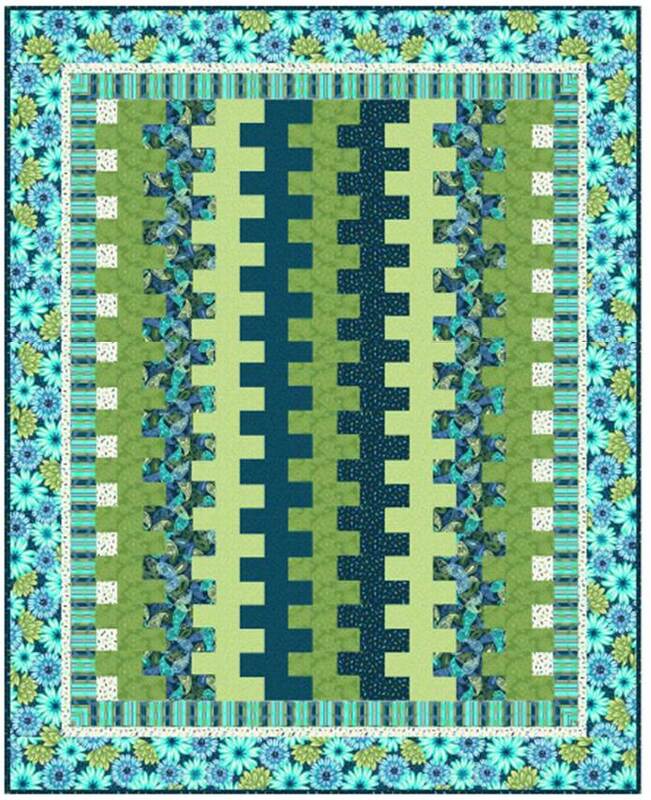 Continuing with our Storm At Sea series, we are featuring a quilt that incorporates another design with a nautical name: Mariner's Compass. 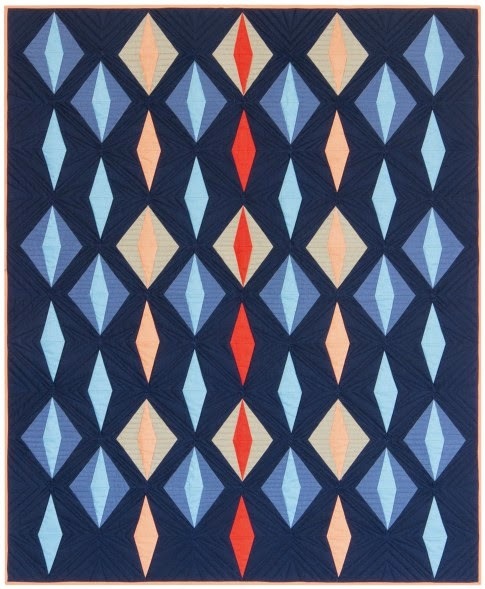 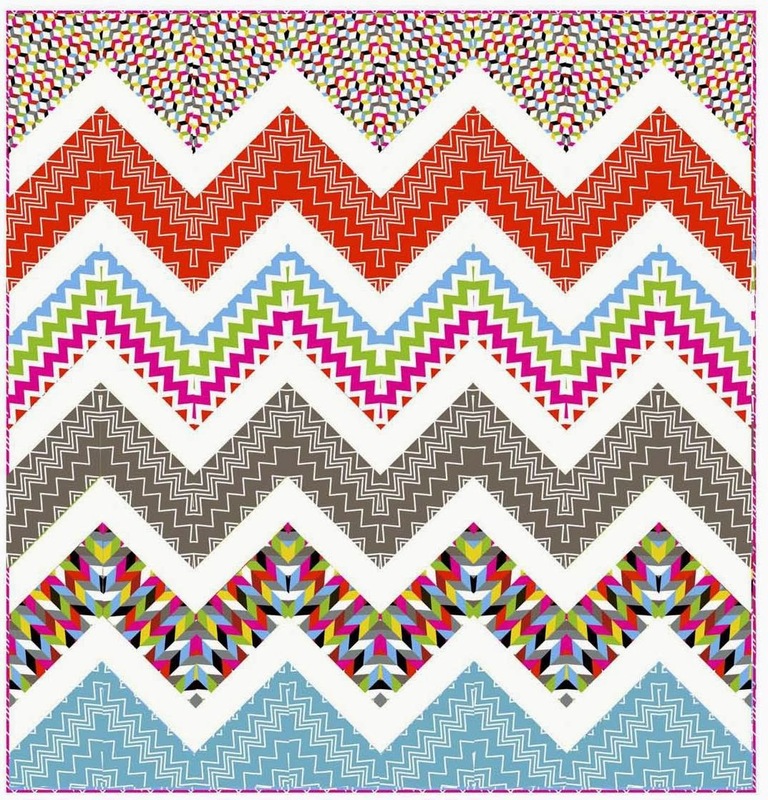 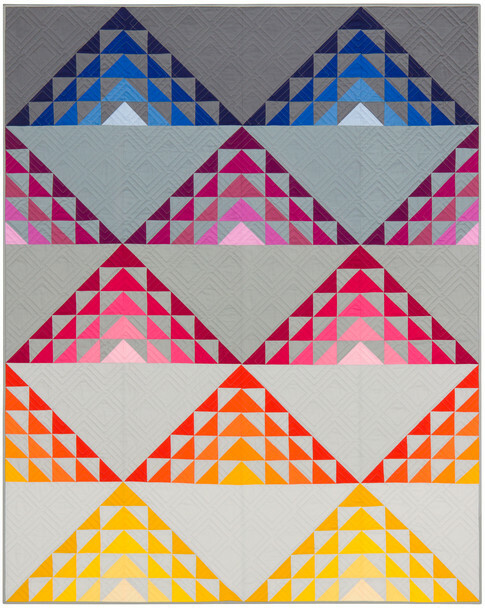 We enjoy this quilt because the vivid pink and scarlet tones symbolize the highly charged activity of the storm, while the blue and gold tones provide a restful contrast. 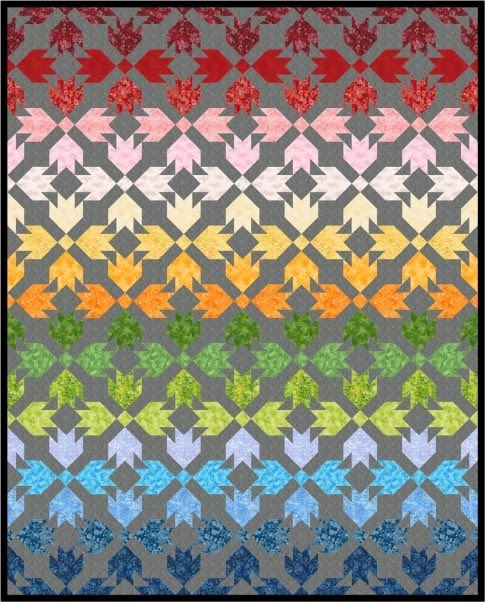 Just as waves ripple outwardly on a pond, the energy is concentrated in the center, then dissipates peacefully to the deep navy of the outer border. 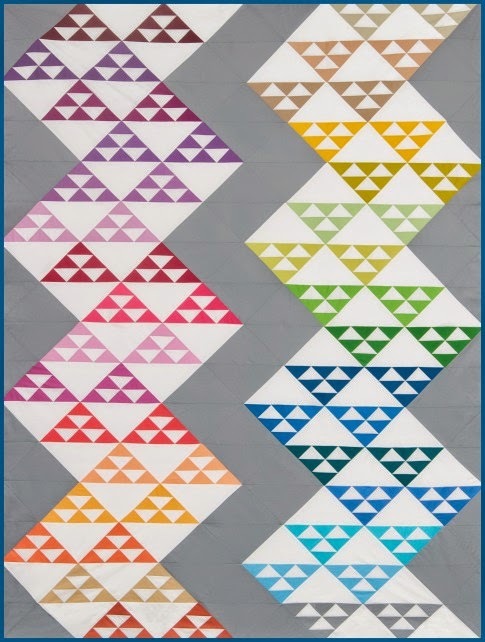 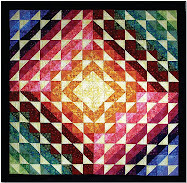 'Eye of the Storm' won 2nd prize for Best Traditional Quilt at the 2009 Road to California Show. 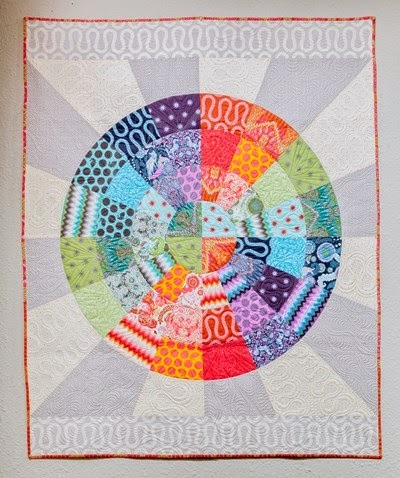 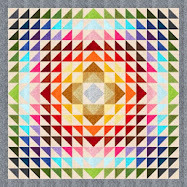 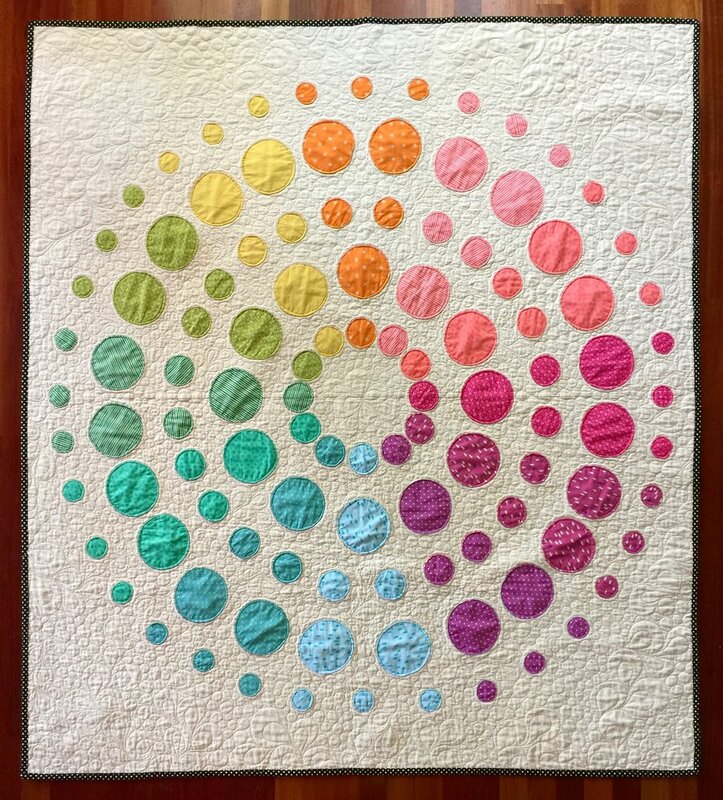 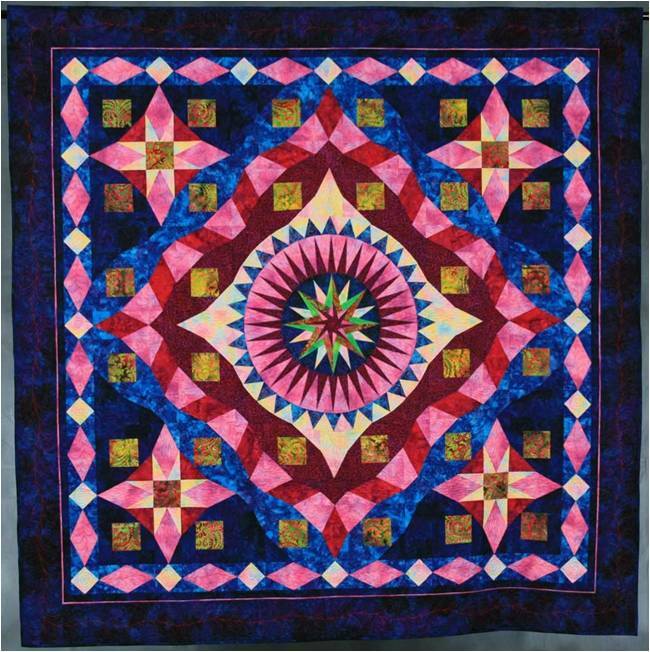 Eye of the Storm is an excellent example of a medallion quilt, where there is one large circular or symmetrical object in the center, surrounded by concentric rings or diamonds which draw the eye inward. 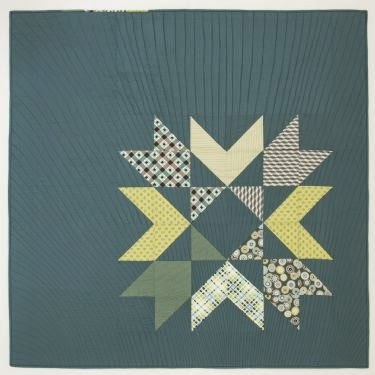 In this case, the "eye" is the circular, spiked Mariner's Compass which serves as the focal point. 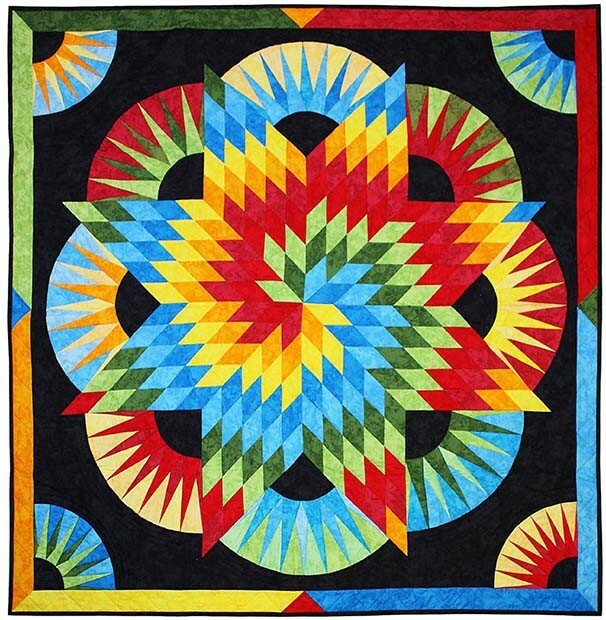 Medallion quilts are often constructed with 4 equal sides, as it is easier for the quilter to locate the exact center of the quilt where the medallion should be placed. 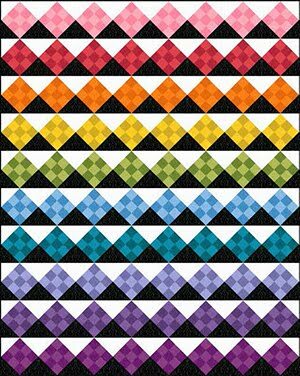 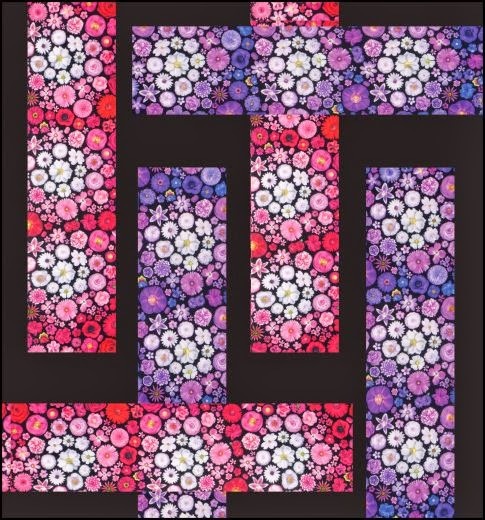 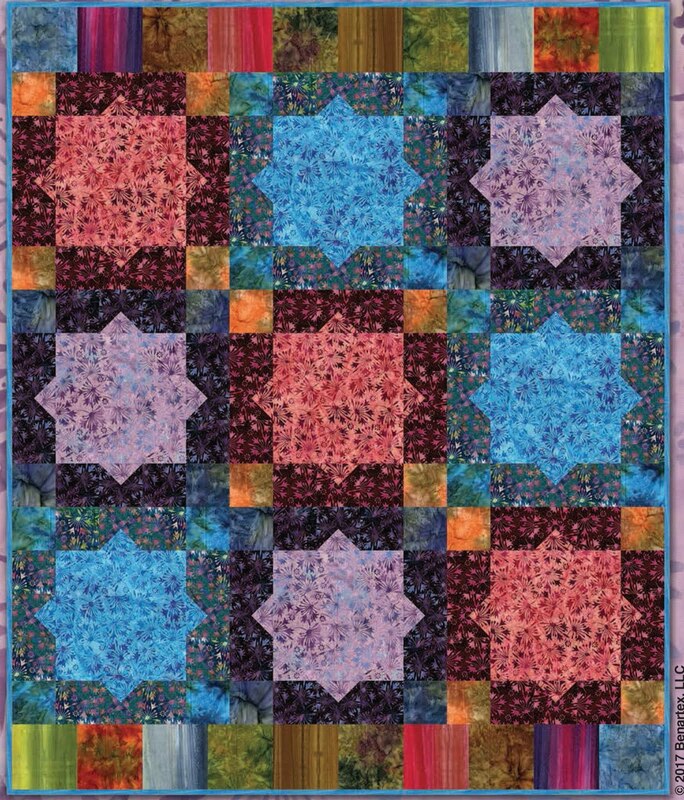 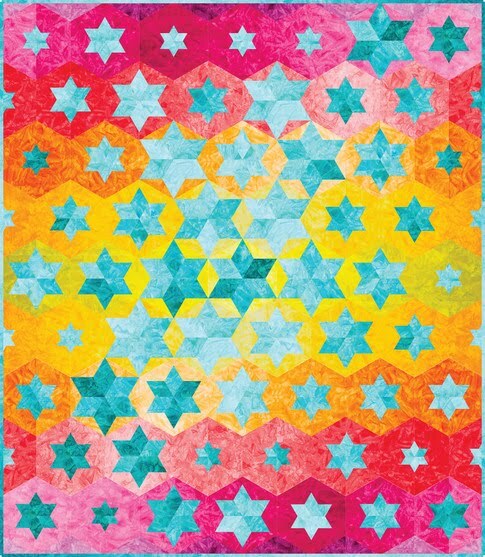 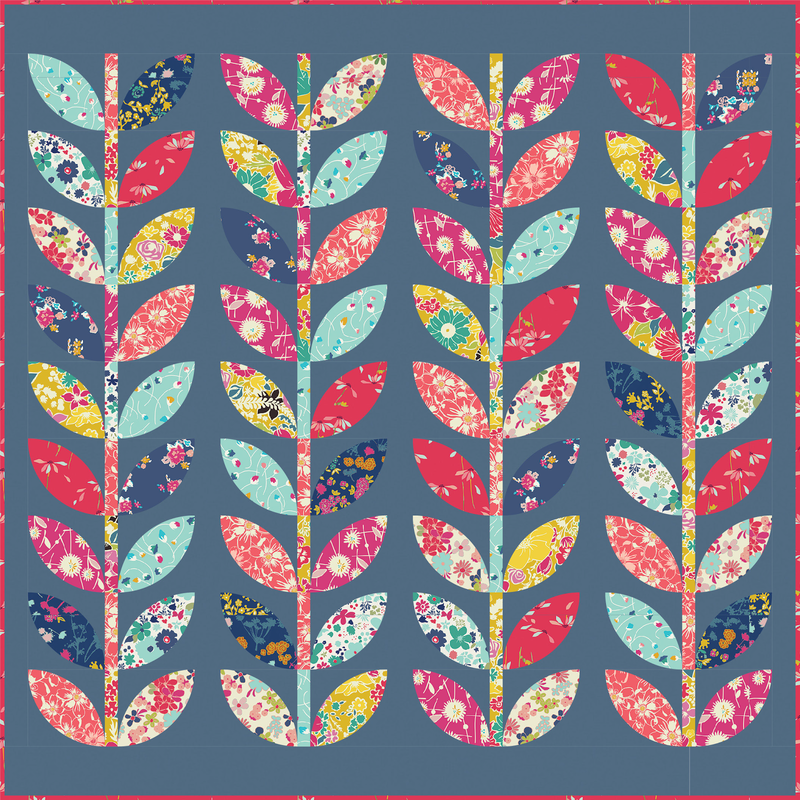 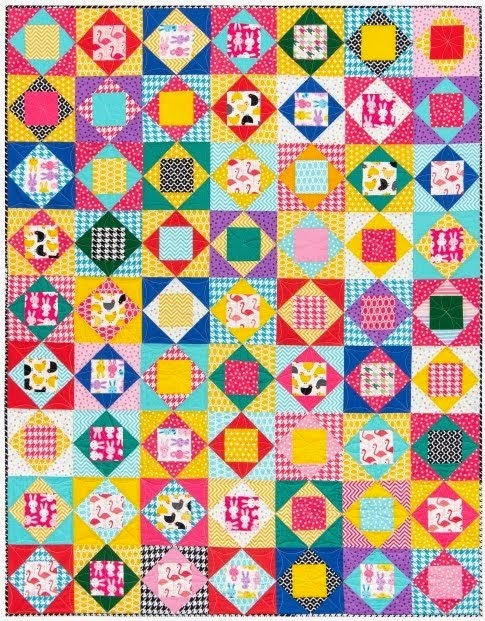 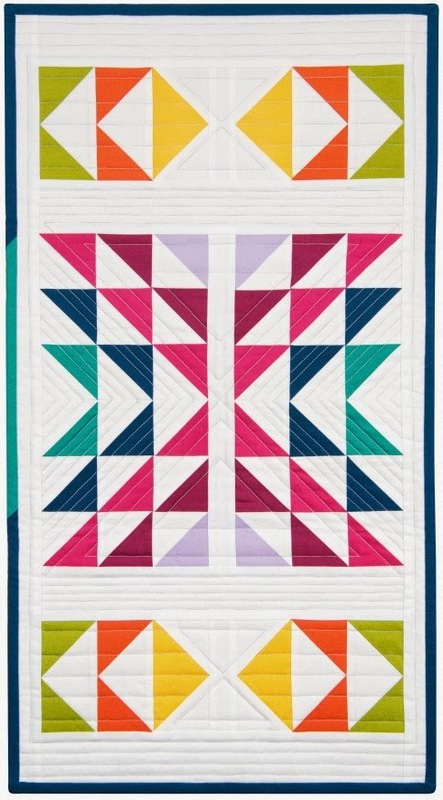 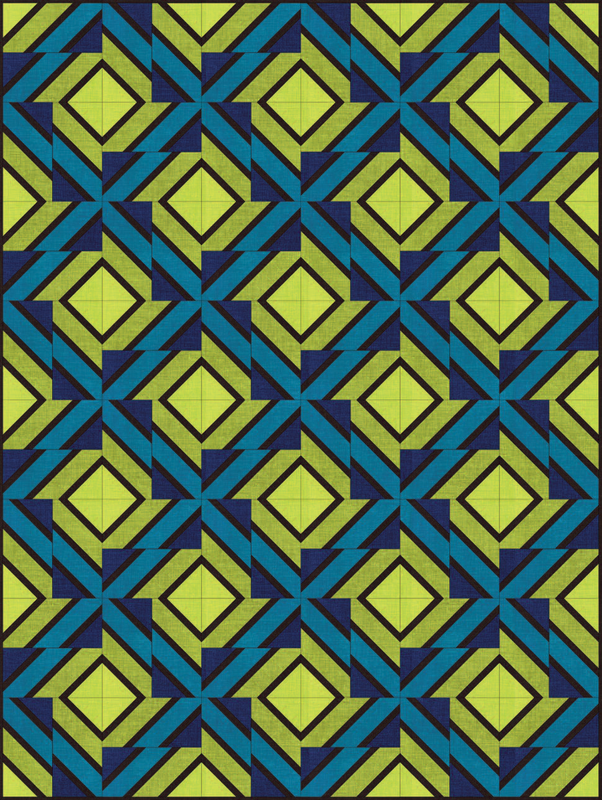 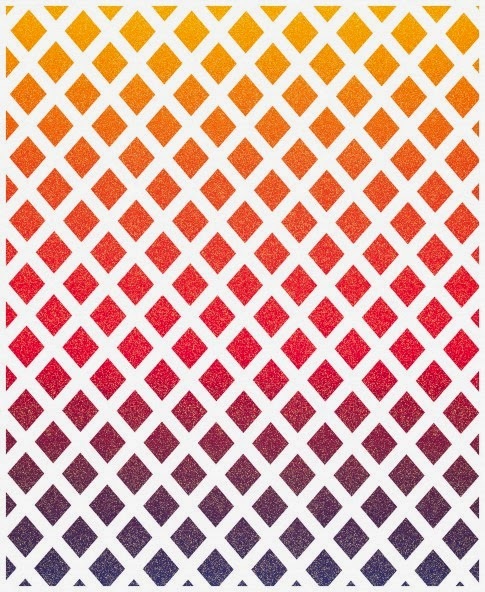 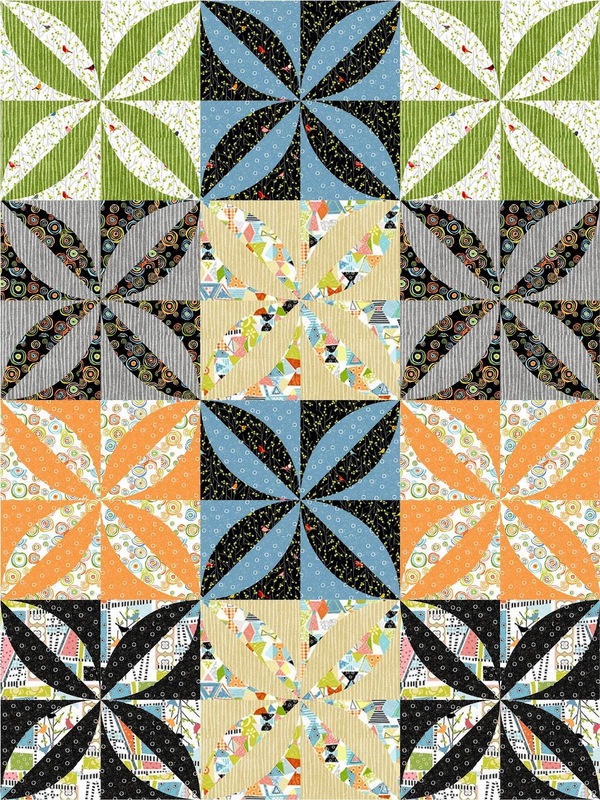 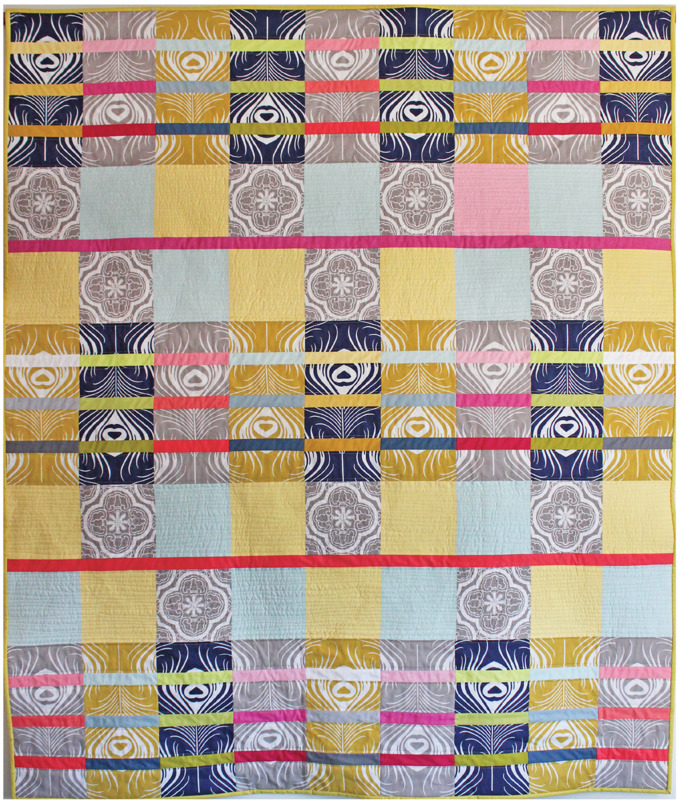 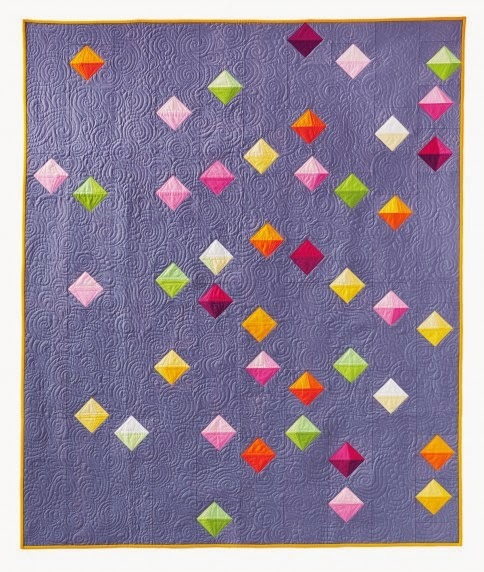 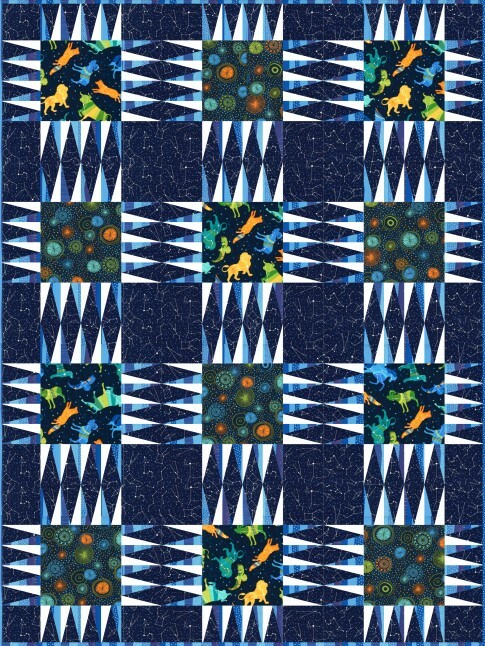 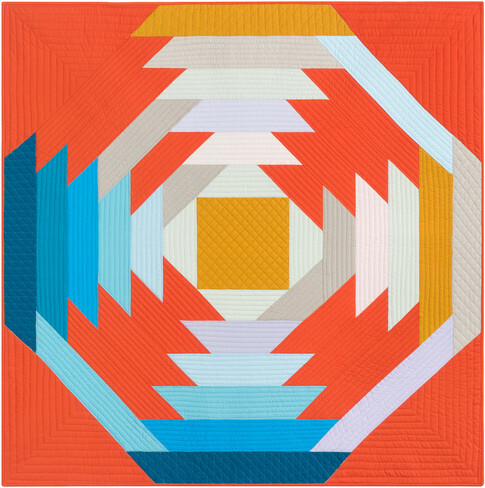 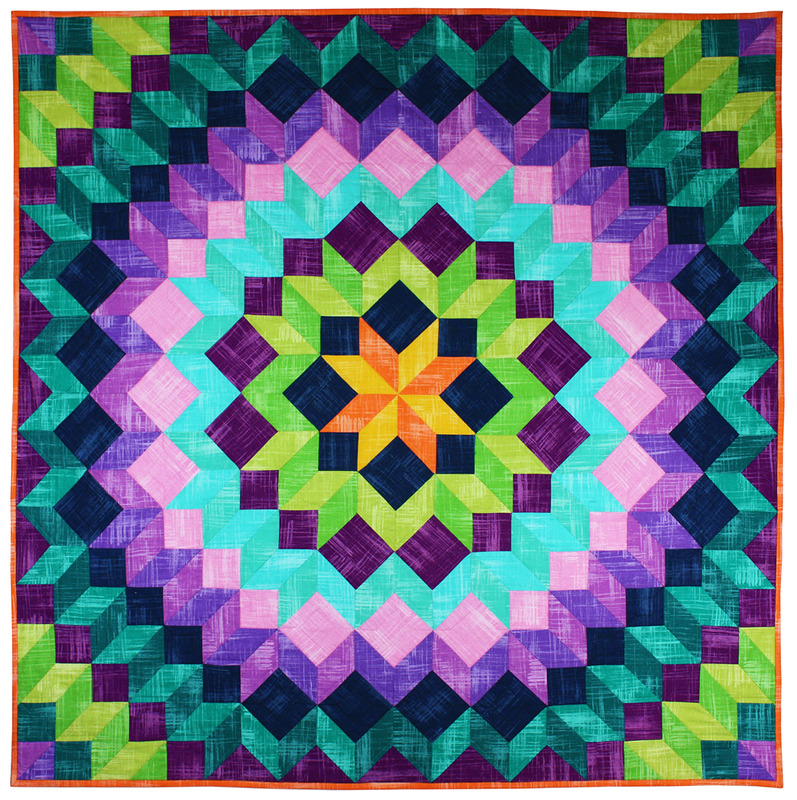 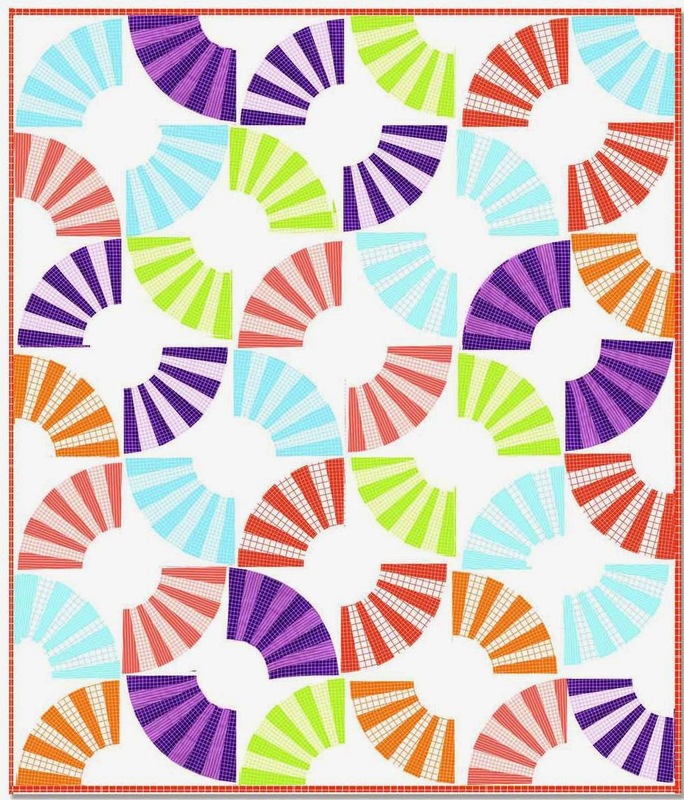 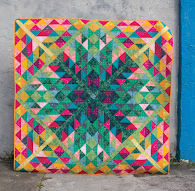 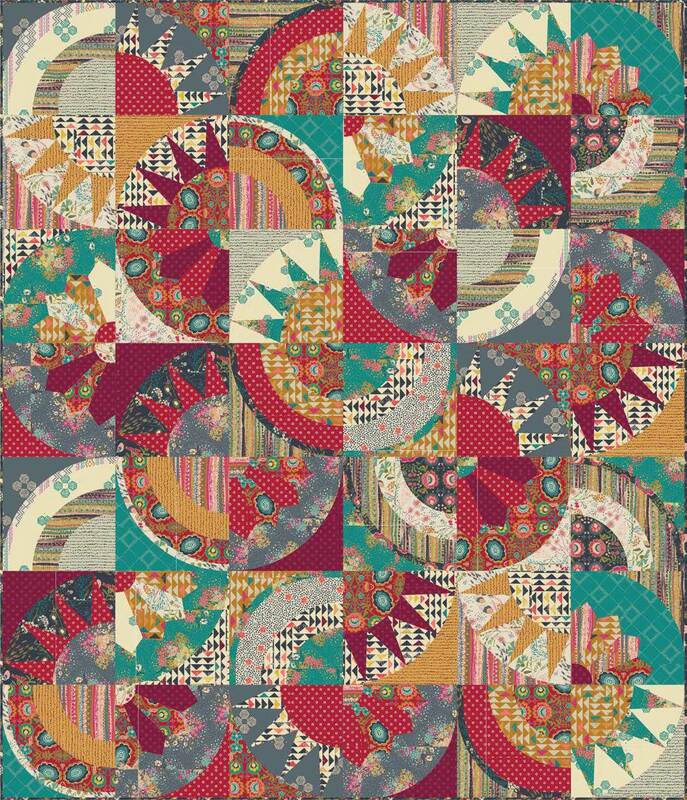 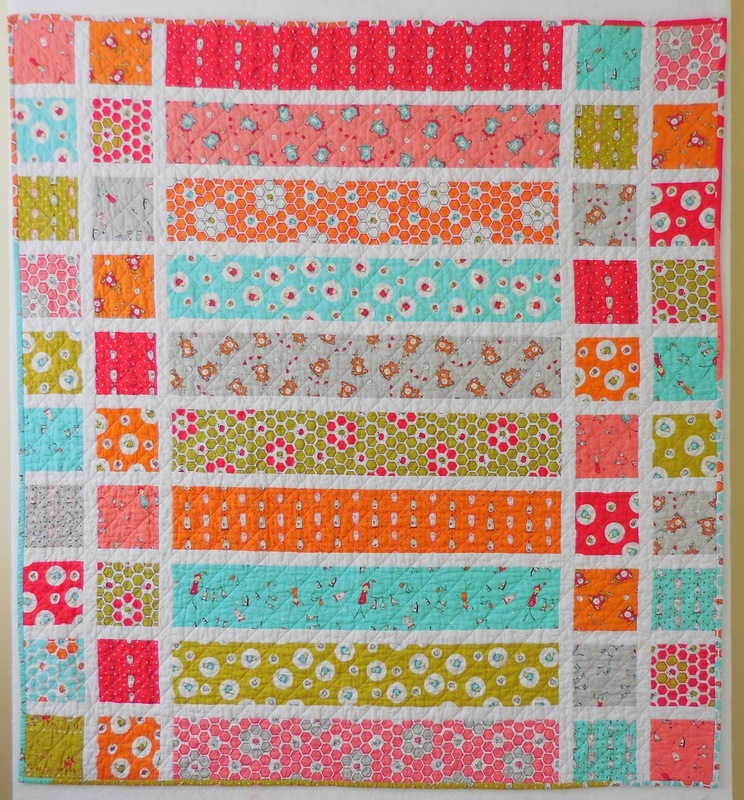 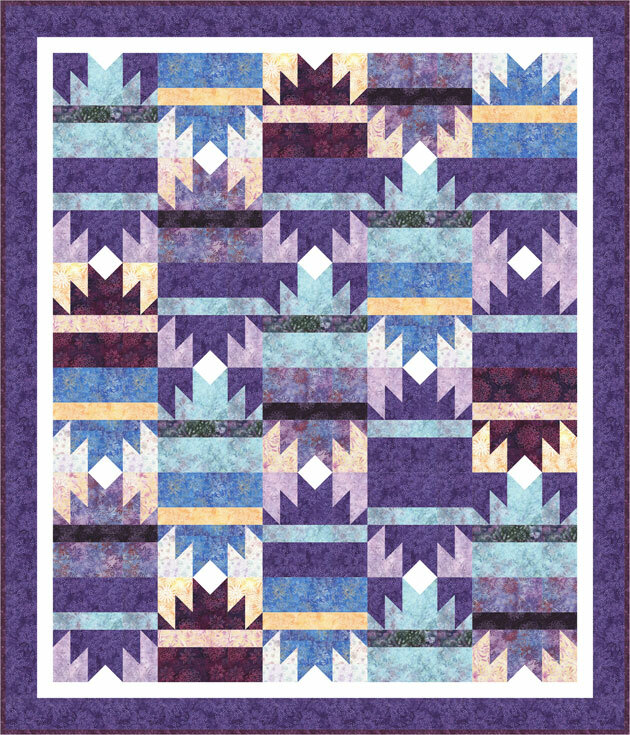 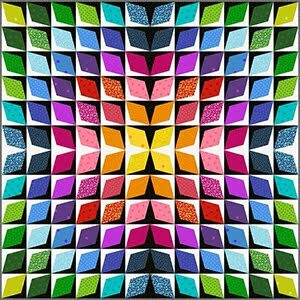 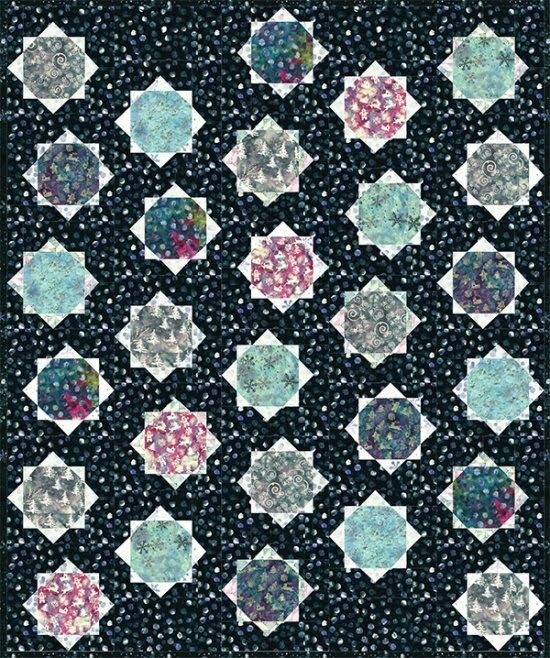 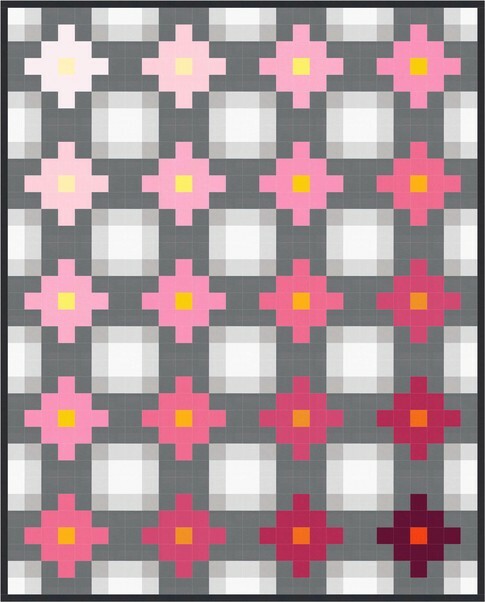 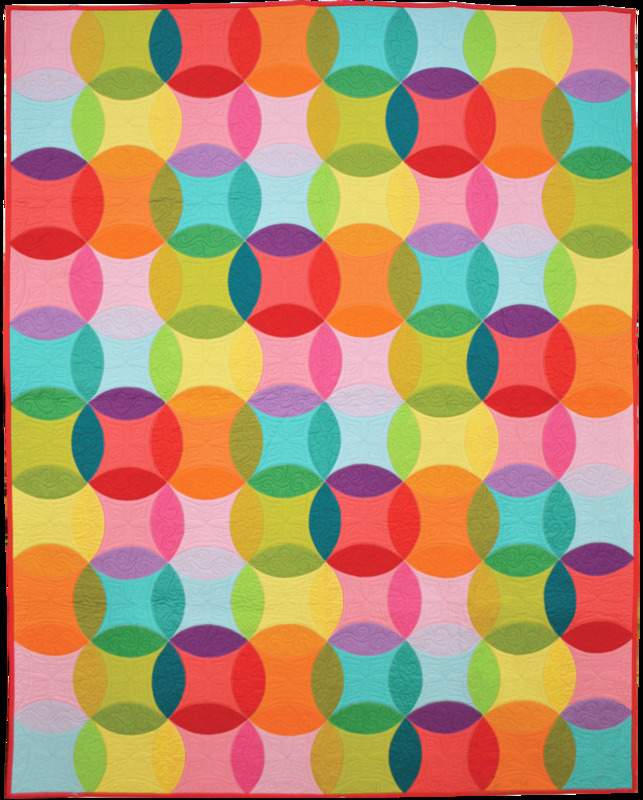 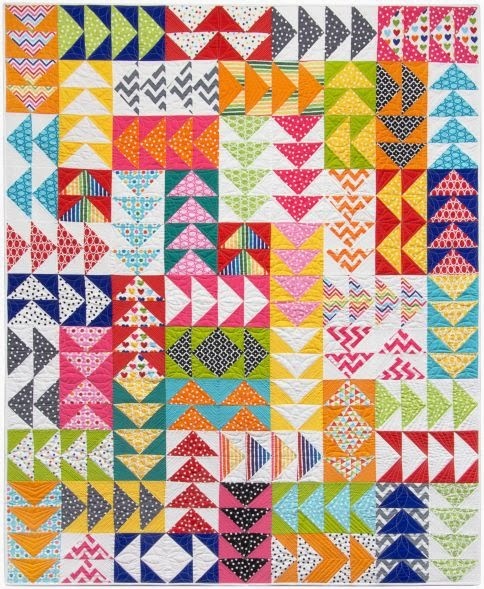 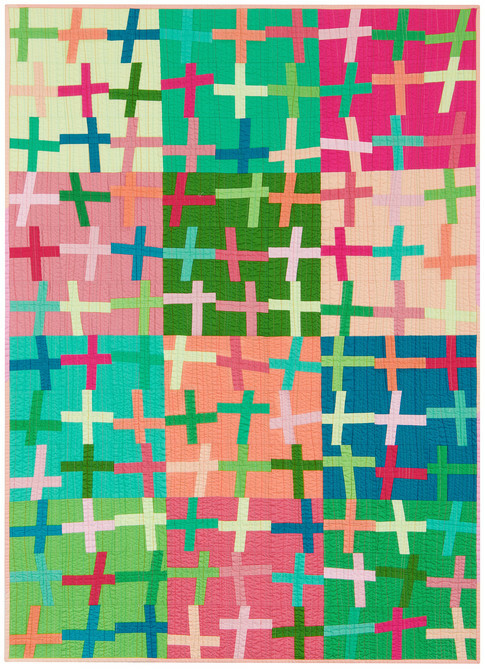 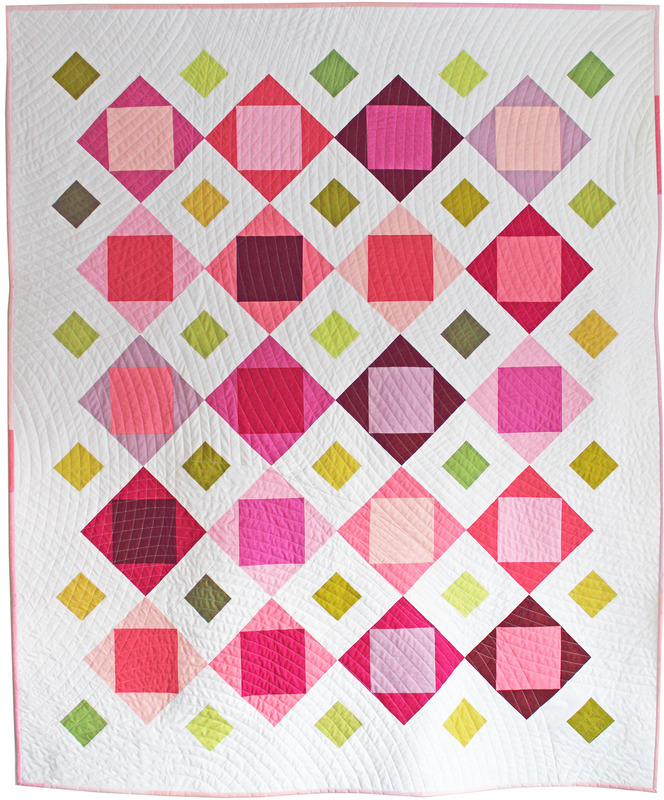 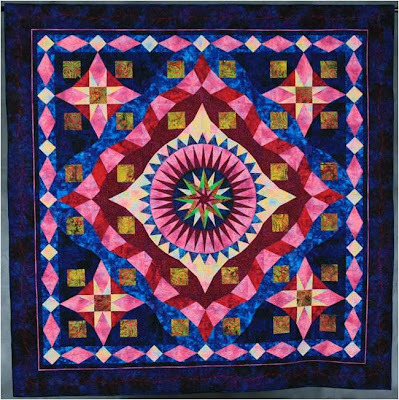 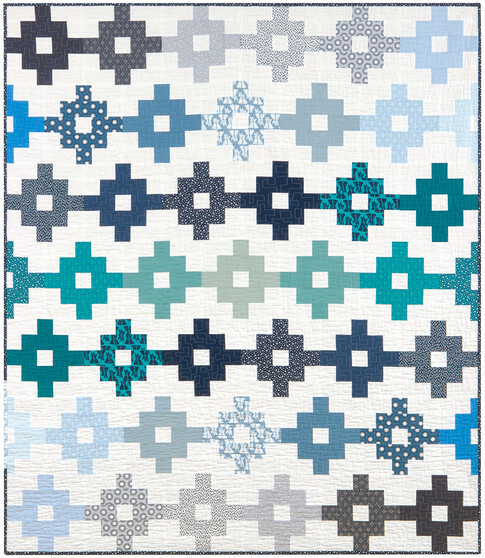 Medallions are especially popular in larger quilts, where a colorful center can attract the eye and provide clarity to the design. 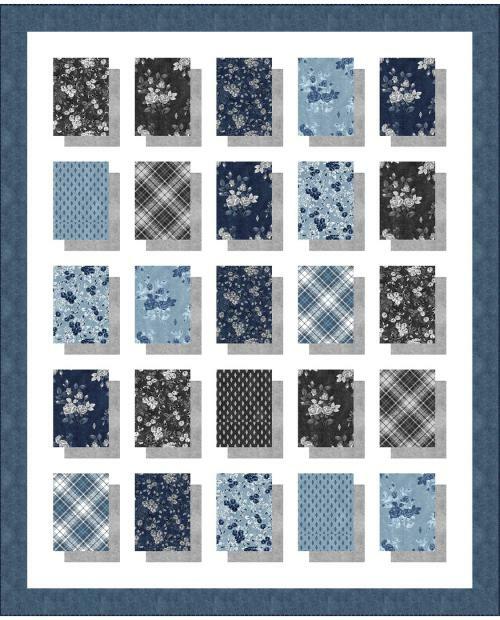 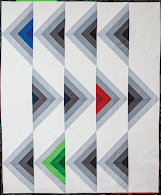 Normally a challenging pattern, the Mariner's Compass is often attempted only by advanced quilters. 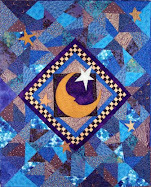 Peggy has made this easier by piecing the medallion using her Quick-Strip Paper Piecing Technique, which she teaches in her workshops. 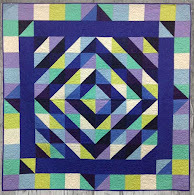 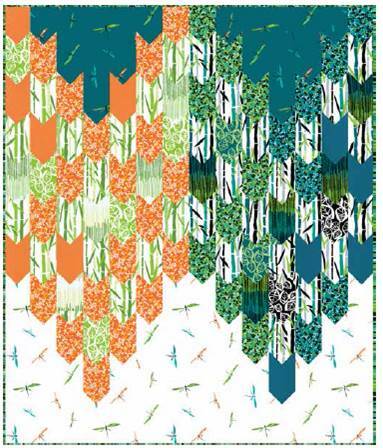 Also, she pieced the surrounding Storm At Sea pattern using Wendy Mathson's TRIMplate method. 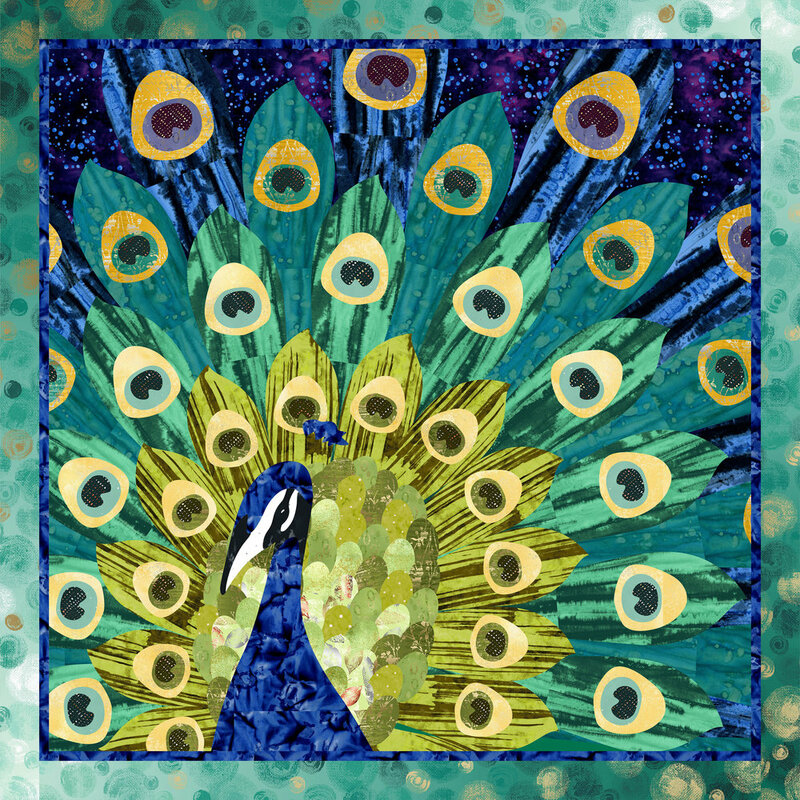 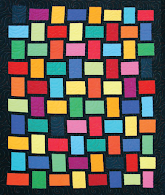 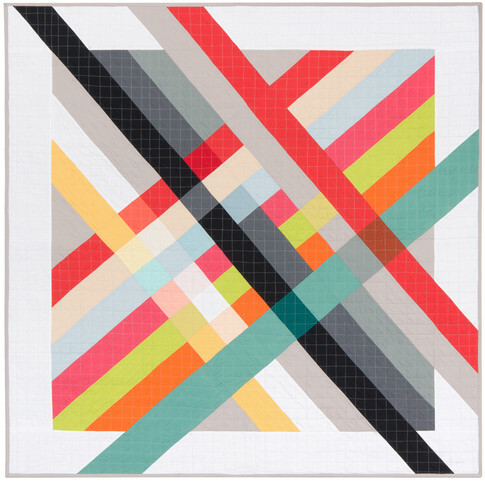 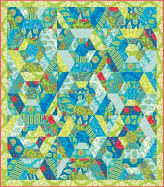 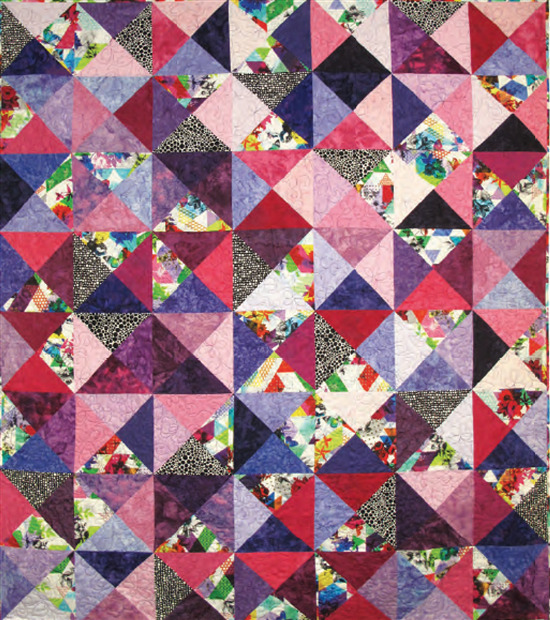 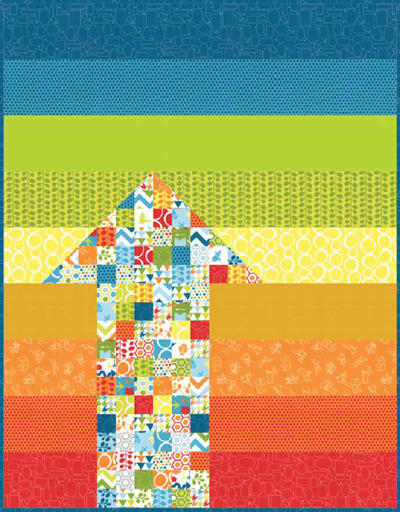 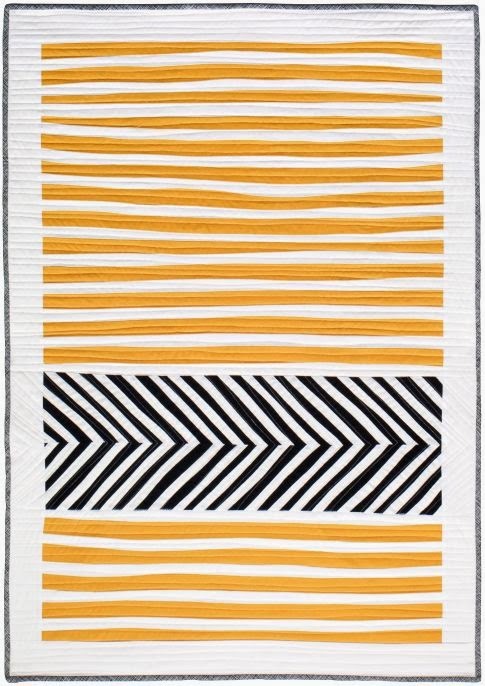 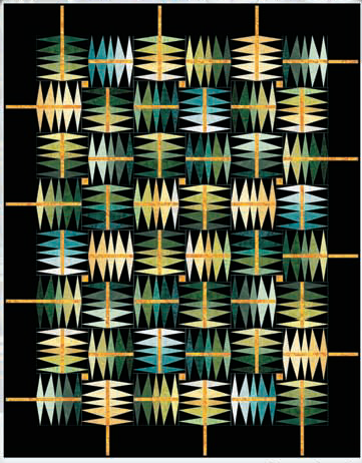 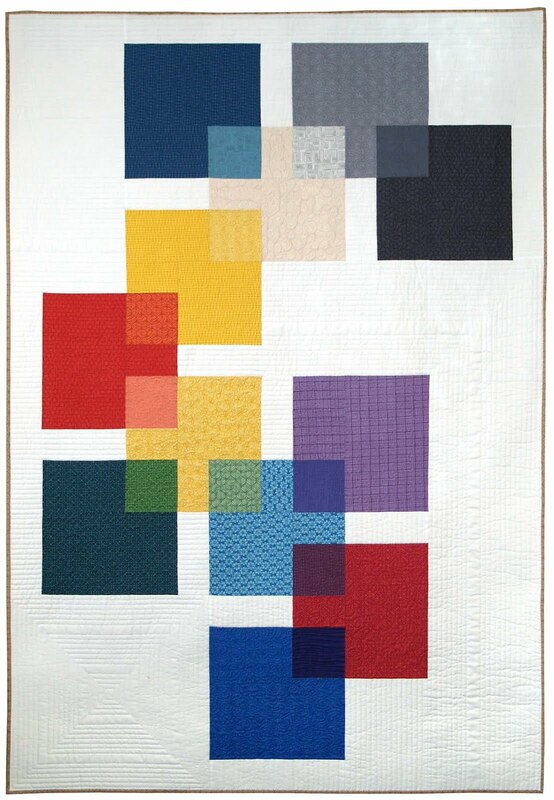 In 2010 Peggy Martin was awarded the Quilting Teacher of the Year award by Professional Quilter. 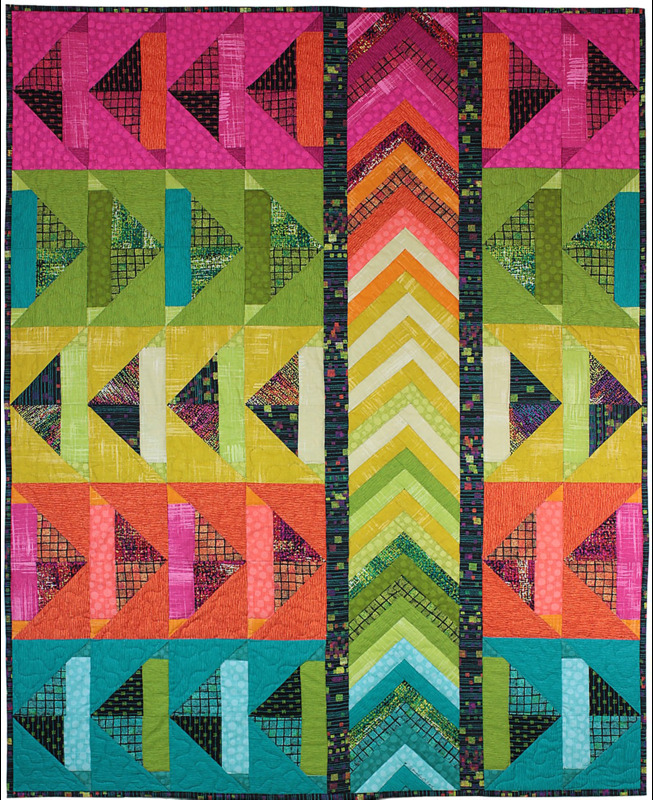 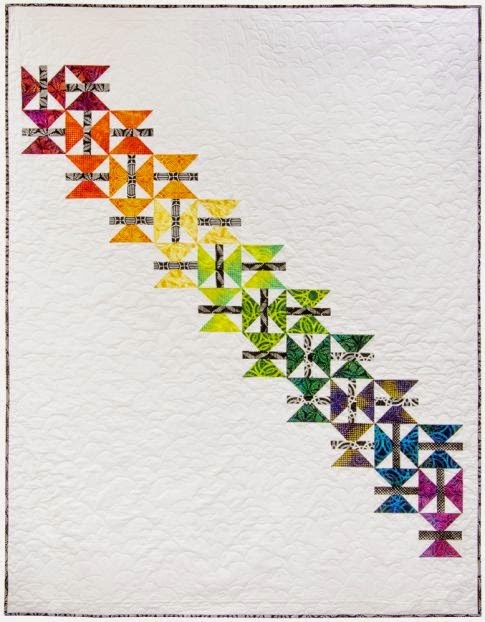 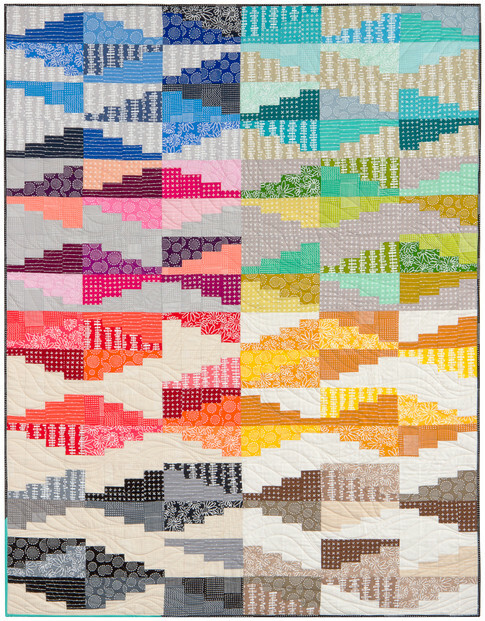 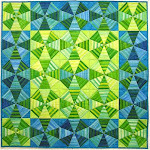 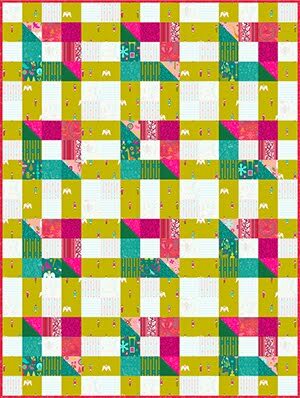 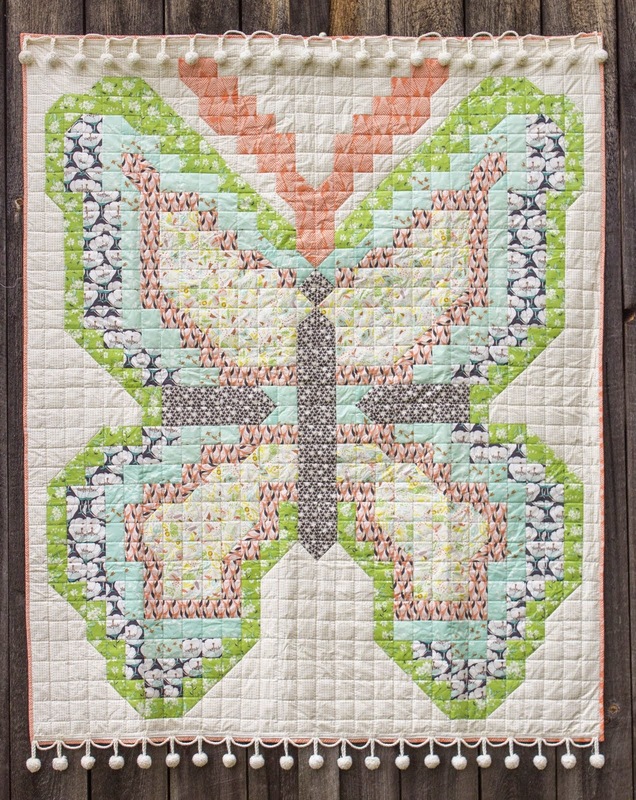 She has two top-rated books, Quick-Strip Paper Piecing and Paper Piece the Quick-Strip Way, and a DVD: Peggy Martin Teaches You Quick-Strip Paper Piecing, all with C&T Publishing. 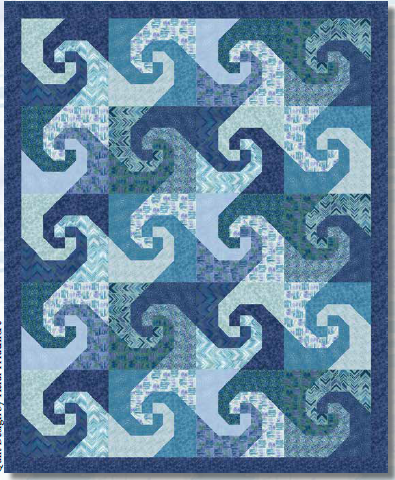 (Note: Peggy also recommends Wendy Mathson's book: A New Light on Storm at Sea Quilts ). 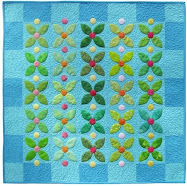 Please visit Peggy Martin's website for more information on her workshops. 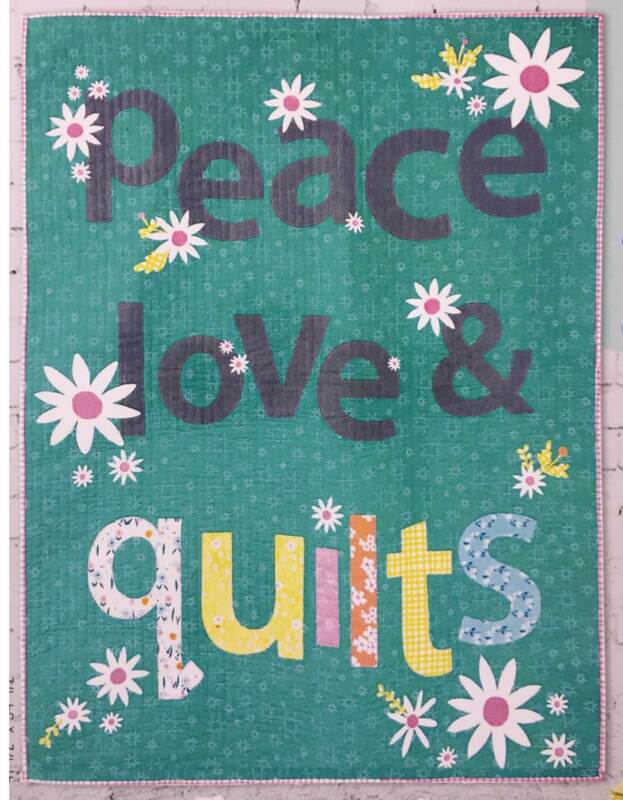 Image credits: The image shown is with the generous permission of Peggy Martin.